A mother lives a demanding and sometimes overwhelming life. There are so many things that she needs to take care of. People may expect her to respond by providing for the basic needs and wants of her children. At the same time, she also needs to raise well-behaved kids. It is her duty to ensure that her children become a trustworthy, respectful and compassionate member of society. If you are one of these great women who are trying to raise Christian children, then having a good devotional at the ready is a must! Fortunately, there are tons of best-selling devotionals that are perfect for moms like you. 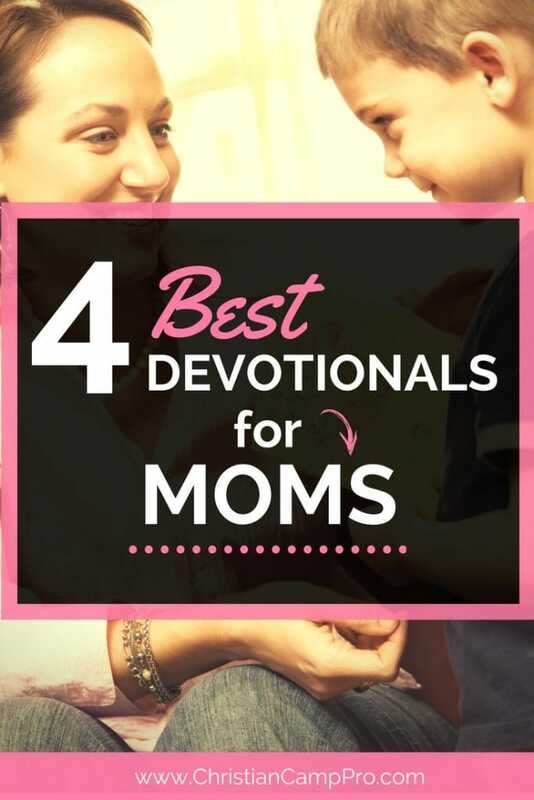 This is a list of hand-selected best devotionals for moms. With this devotional, you can get 365 gospel-centered devotions. It is highly recommended to find time in reading its contents on a daily basis. You do not need to rush every single day. Sometimes, all you need is a quick break from all the regular mommy duties you do for everyone in the family. If you are looking for quick encouragement to keep you moving forward, then this devotional is perfect for you. This is one of the best devotionals for moms who want to enjoy a daily encounter with the living God. View current pricing on Amazon. Balancing between career and family life can be a complete struggle. Your life as a mother will be a rewarding yet busy one. However, this does not mean that you cannot press “pause.” Get your copy of the “Pressing Pause” devotional for moms today to enjoy some quiet time for yourself. Let the 100 devotions rejuvenate your spirit. The best time to read this is in the mornings. In so doing, you would develop a practice of starting your day right by remaining calm and focusing on God. View current pricing on Amazon. This devotional will help you establish a closer relationship with God. It contains thirty short devotions that you can read for one month. Everything has been optimized for busy moms. Be captivated by the several personal strategies that you can use on a daily basis. You will love this if you’re seeking a more intimate connection with God. Most of the best devotionals for moms feature year-long reading, not this one. It focuses on 30 days of real life devotionals. Transform your life in just one month! Remember that the hardships of your mommy life are only temporary. Things will get better soon. Keep your faith and believe that you have a God who loves you unconditionally. View current pricing on Amazon. Giving birth for the first time can bring many emotions into your life. Of course, you are happy to welcome your first-born child in this world. However, you may feel fear and anxiety especially when you have no idea on what to do next. Worry no more because this devotional will provide you with the complete guide on what to do next. Take note that birth can change a woman’s body, mind, heart, and soul. Be prepared for all these things by grabbing a copy of this birth related devotional/guide. View current pricing on Amazon.